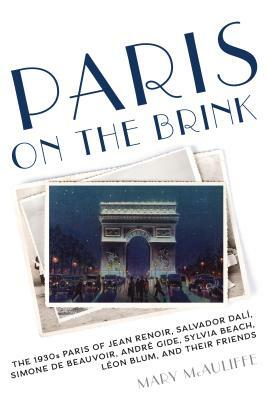 Paris on the Brink vividly portrays the City of Light during the tumultuous 1930s, from the Wall Street Crash of 1929 to war and German Occupation. This was a dangerous and turbulent decade, during which workers flexed their economic muscle and their opponents struck back with increasing violence. As the divide between haves and have-nots widened, so did the political split between left and right, with animosities exploding into brutal clashes, intensified by the paramilitary leagues of the extreme right. Hitler, Stalin, and Mussolini escalated the increasingly hazardous international environment, while the civil war in Spain added to the instability of the times. Yet throughout the decade, Paris remained at the center of cultural creativity. Major figures on the Paris scene, such as Gertrude Stein, Ernest Hemingway, Andr Gide, Marie Curie, Pablo Picasso, Igor Stravinsky, and Coco Chanel, continued to hold sway, in addition to Josephine Baker, Sylvia Beach, James Joyce, Man Ray, and Le Corbusier. Simone de Beauvoir and Jean-Paul Sartre could now be seen at their favorite caf's, while Jean Renoir, Salvador Dal , and Elsa Schiaparelli came to prominence, along with France's first Socialist prime minister, L on Blum. Despite the decade's creativity and glamour, it remained a difficult and dangerous time, and Parisians responded with growing nativism and anti-Semitism, while relying on their Maginot Line to protect them from external harm. Through rich illustrations and evocative narrative, Mary McAuliffe brings this extraordinary era to life.